No, this is not Sesame Street. I've told this story many times, so if you've heard it already you're free to move on. A few years ago, I had a young designer working for me that needed extra typographic nurturing along the way. One day he into my office and gave me a hard time about my zealous attention to typography, stating I was over doing it. I had to think quickly. How could I explain the importance of designers loving type? My first thought was that designers should be fastidious about everything–it comes with the territory. We’re all snobs of a sort, after all, we are the guardians of taste, at least at the visual table. So, how to illustrate this for him? I opted for the visceral. As an exercise, I told him to go back to his large monitor, open up Adobe Illustrator, typeset a lower-case Times New Roman “g,” and then to blow it up until it filled his screen. He left my office and I waited quietly. After a few minutes, I heard a simple “wow!” from his direction. Yes, I know, Times New Roman is as common as dirt. And frankly I’m tired of it (I'm especially adverse to the bold). However, Times would go in the Type Hall of Fame along with Baskerville, Garamond, Helvetica...and all the classics. Why, because as type goes even tired old Times is brilliant. When Stanley Morison and Victor Lardent designed it, meticulous care was given to balancing its aesthetics and application (read about it in Wikipedia, it's fascinating to read the mathematical precision involved). Bottom line, as functional as it it is, type is still art. 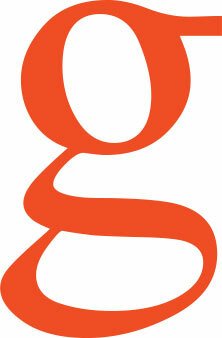 Not only the letter forms, but the care that we designers give in choosing it, kerning it, leading it, and sizing it. 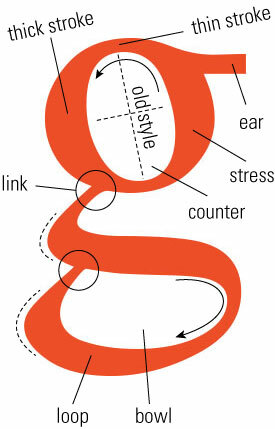 Now, go to your computers and blow up a big “g.” Look at the beautiful curve of the loop and the similar shape of the link and where the loop closes, the Old Style rotation of the counter, and the contrast of thick and thin strokes. But be careful, you’ll never think about type in the same way again, and you just might start to understand why designers get so excited about type. You might even become a type snob. You'll be in good company. 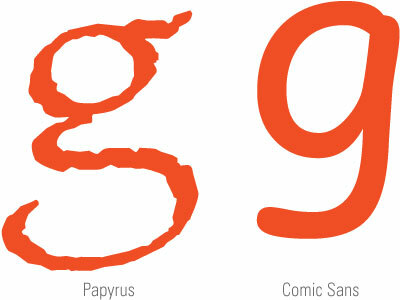 Just recently someone asked me why I don't like Papyrus or Comic Sans. Well, look closely. Both lack any artistic sophistication and will end up on the trash heap of forgotten trends. With so many great typefaces, why go with mediocrity when your document can standout for no other reason that you understand the importance of a lower case "g".